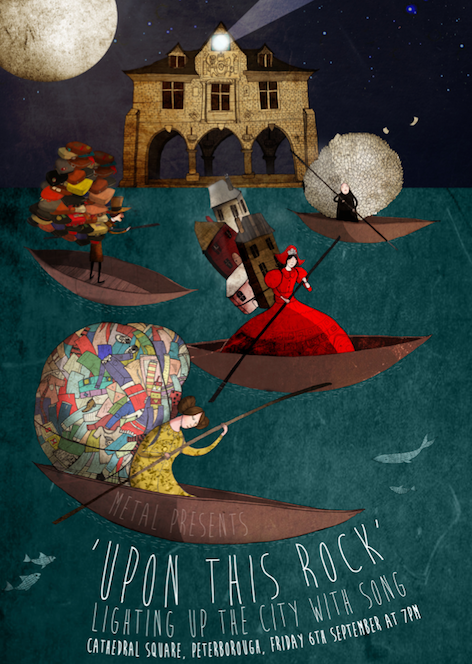 Brought to you by Metal in collaboration with the Lantern Company, ‘Upon This Rock’ was a visual and musical celebration of Peterborough and its people. 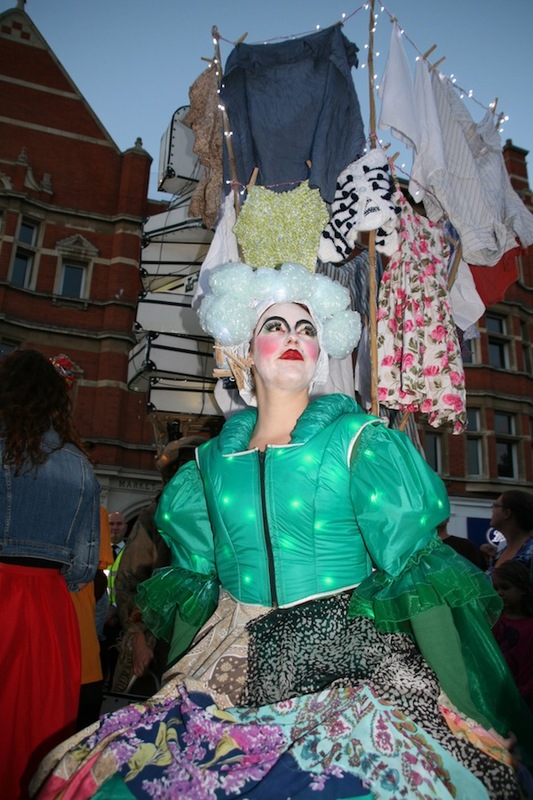 Spectacular lantern parades peopled by hundreds of local schoolchildren and their families started in four corners of the city and converged on Cathedral Square, filling the city centre with light, colour and sound. The event featured a performance of a specially commissioned score by composer Jonathan Baker, performed by local musicians and musical groups. Using music and song, a number of residents of Peterborough told their own stories about how they and their families came to call the city ‘home’. 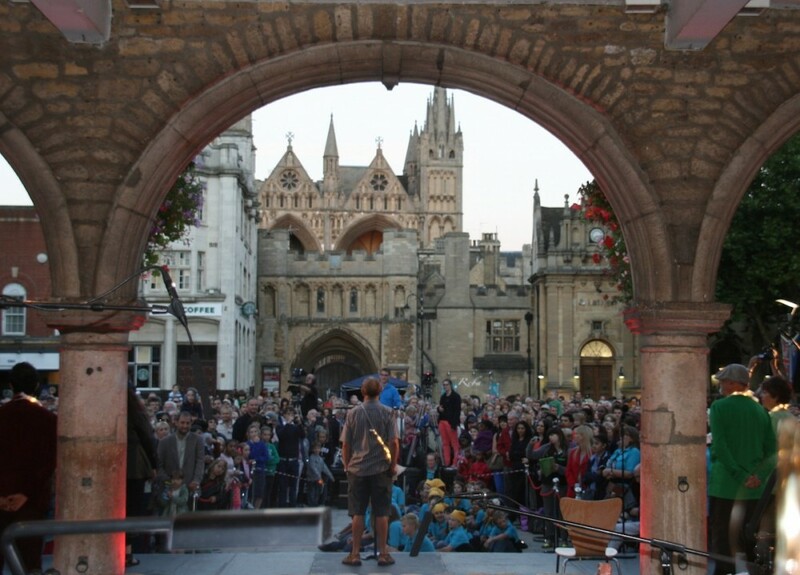 Taking its inspiration from the idea of ‘home’ and from the city’s history of migration, dating back through the housing schemes of the 1960’s and as far back as the celebrated bronze-age boats, the performance will embody the lives and journeys – great and small – that have led people to settle in Peterborough. Metal worked with an amazing artistic team to create this event including: Artistic Director: Emma Bernard; Musical Director: Jonathan Baker; Lantern designers:Lantern Company plus local artists Stuart Payn, Jeni Cairns, Shashi Patel, Alex Lingford. 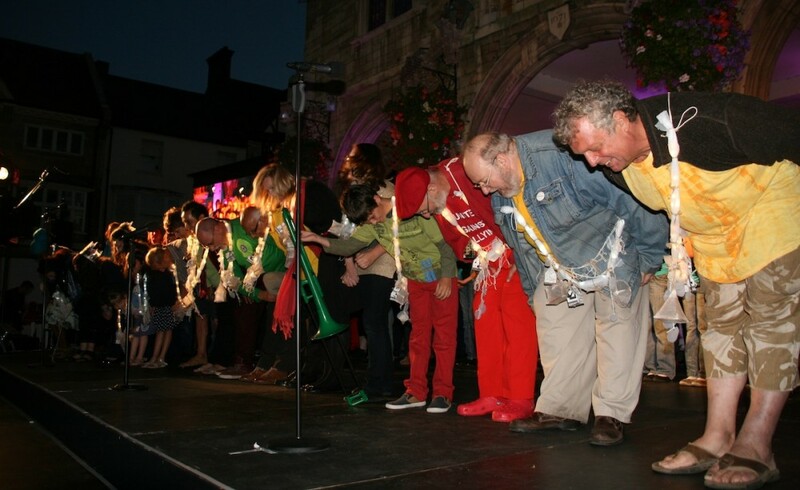 Performance team included (amongst others): Orton Wistow Primary School, Ken Stimpson Community School, Hampton College, St Thomas More RC Primary School. 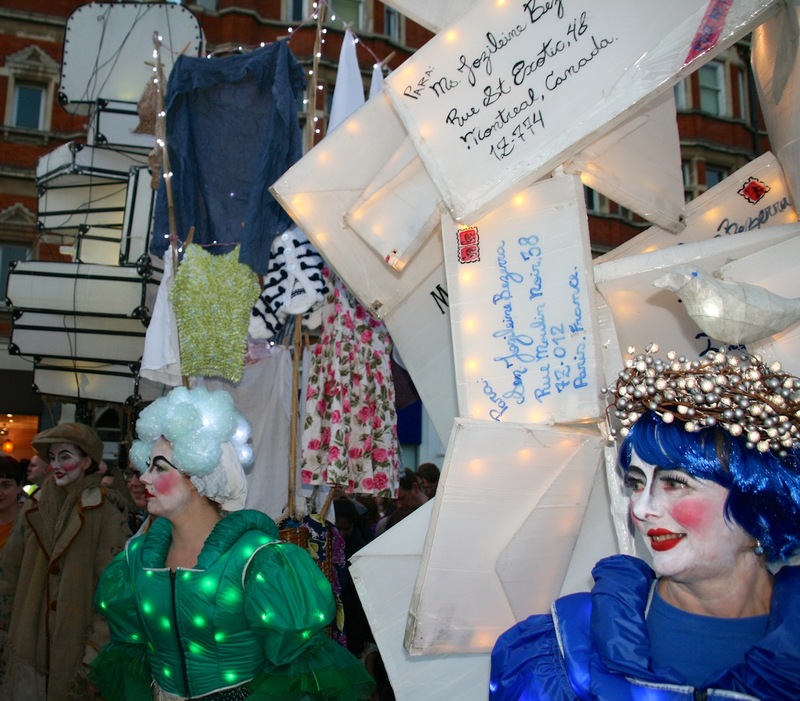 The Lantern Company, based in Liverpool, have grown a reputation over the last 10 years for creating unusual work of an excellent artistic quality, becoming one of the leading national companies for processional kinetic floats, costumes and large-scale puppets. They have a wealth of experience in producing and directing arts festivals, one-off site specific events, carnival parades and visual theatre. METAL present: Upon This Rock from SPARKY FILM on Vimeo.